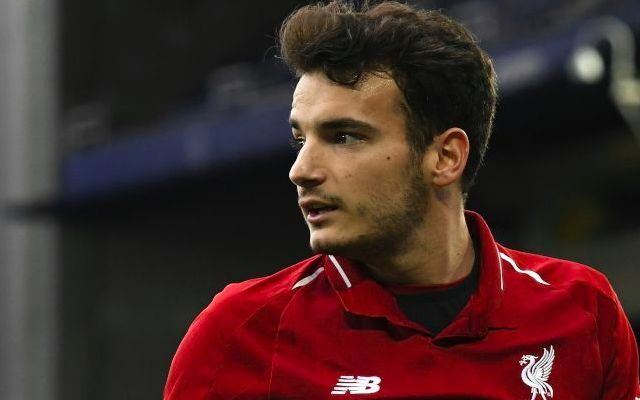 Pedro Chirivella could find himself heading back to Liverpool without having played a game for Extremadura due to complications with his loan deal. The Spaniard joined the Segunda Division side on January’s transfer deadline day in search of regular first team football for the remainder of the season. A problem has since, however, been flagged up regarding his registration with the club, meaning the midfielder is still yet to make his debut after two weeks. Whilst Liverpool are optimistic of Chirivella receiving clearance to play, there remains the possibility of his loan deal being terminated, according to the Evening Standard’s David Lynch. It could now require Extremadura to appeal to a tribunal in order for the issue to be resolved. The 21-year-old is currently experiencing his third loan stint since joining Liverpool’s youth ranks from Valencia as a teenager back in 2013. Chirivella made his competitive senior debut for the Reds as a first-half replacement for the injured Kolo Toure in September 2015’s 1-1 Europa League group stage draw with Bordeaux. He made three FA Cup appearances and earned his Premier League debut that season, before moving to Dutch outfit Go Ahead Eagles for the 2016/2017. After managing 17 league appearances, he extended his stay in the Eredivisie for the 2017/2018 campaign by signing for Willem II, where he featured on 35 occasions.